It may almost be Christmas time but that doesn’t mean all of our projects have to be Christmas themed. I love making fun teen crafts all year long, and winter is no exception. 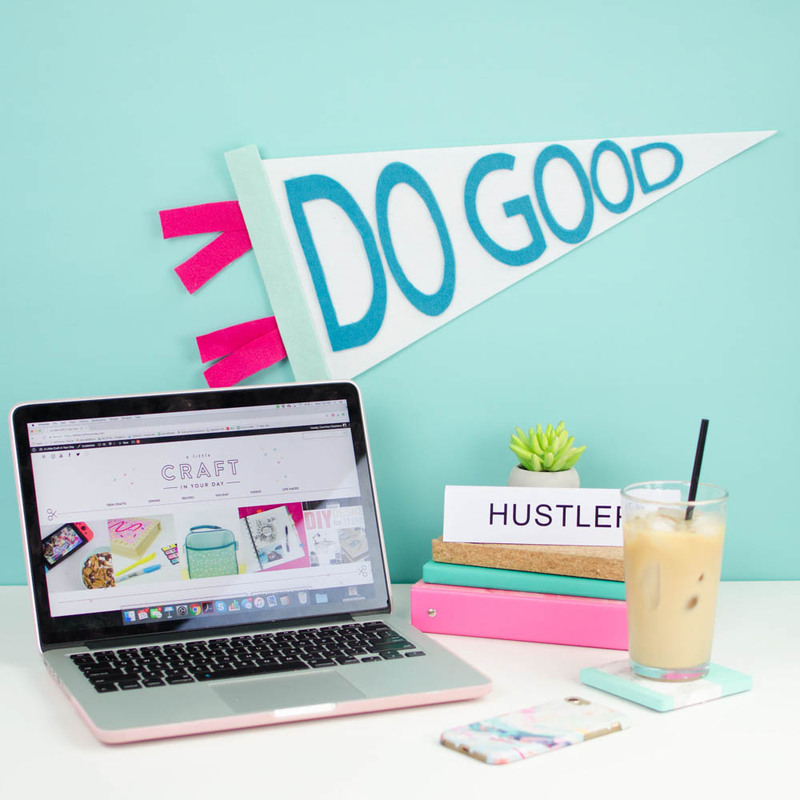 If you enjoy crafting for stress relief, or if it’s just fun for you, this project is the perfect one to unwind to and help the time pass. 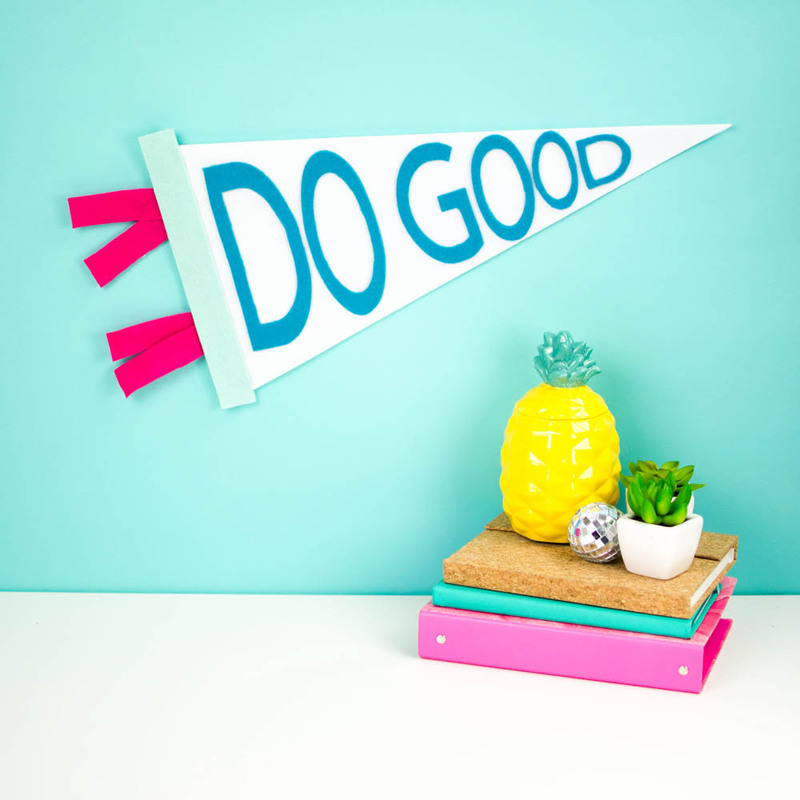 We made a DIY Teen Room Decor Idea – a Felt Banner that’s perfect for any space and acts as a daily reminder to always do good! Who wouldn’t love this DIY project to display in their room? Check out how we made it down below. 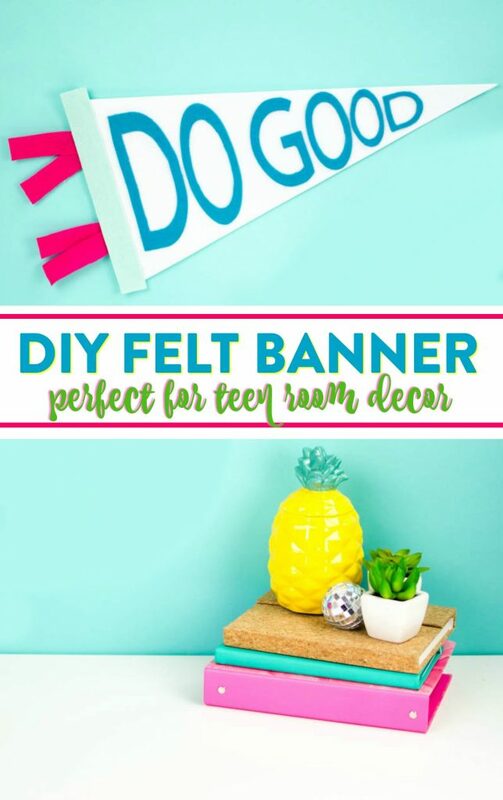 Also, Check Out How We Made This DIY Felt Pendant Banner! Step One: Place the felt on the Fabric Grip mat and cut this design out. 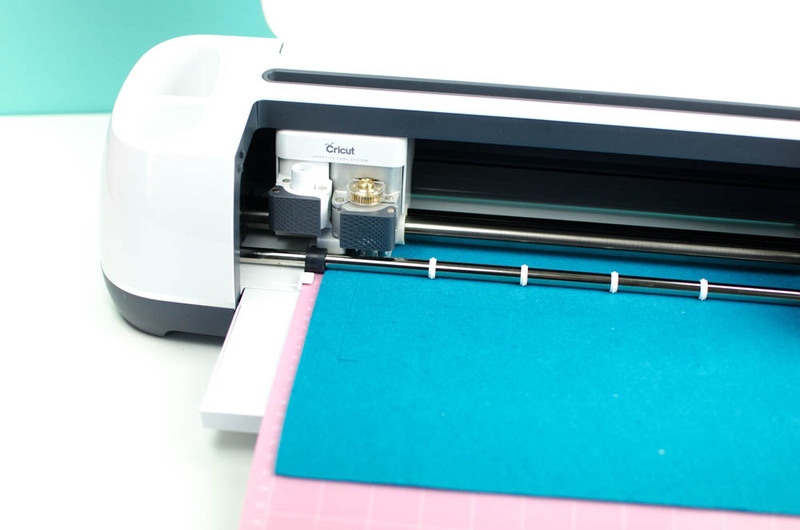 Make sure that you have it on the felt setting and the rotary blade in. Step Two: Arrange the letters onto the pennant where you want them. This is basically to make sure that nothing is hanging off the edges when it comes time to glue them down. Step Three: Using small amounts of hot glue, adhere them down. Step Four: Cut a strip of felt that is just slightly longer than the height of your banner. Adhere it down along the edge so it hangs over just slightly. Step Five: Then cut 2 long skinny strips about 3/4 inch by 6.5 inches long of a different color felt. Fold them in half and glue them down to the back of the pennant like in the photo above. 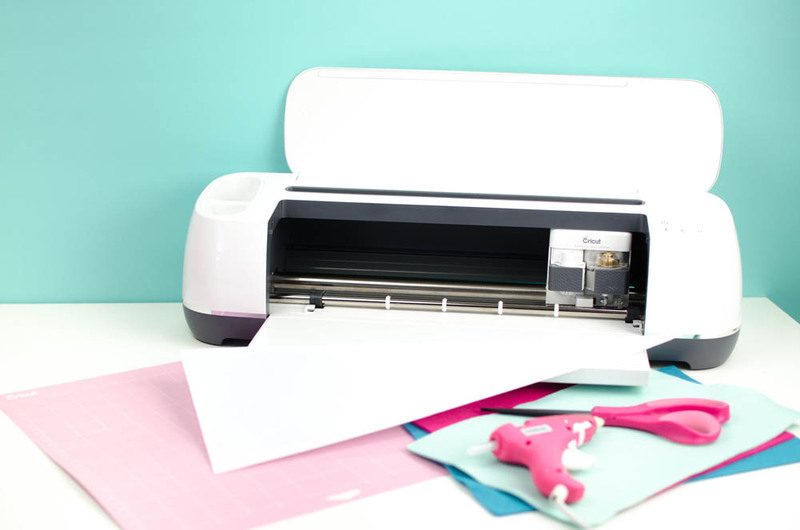 This project is so easy thanks to the Cricut Maker! I love that we can make this craft in less than an hour. It would make a great gift for a friend or family member and you can personalize it by using all your favorite colors of felt in this project. 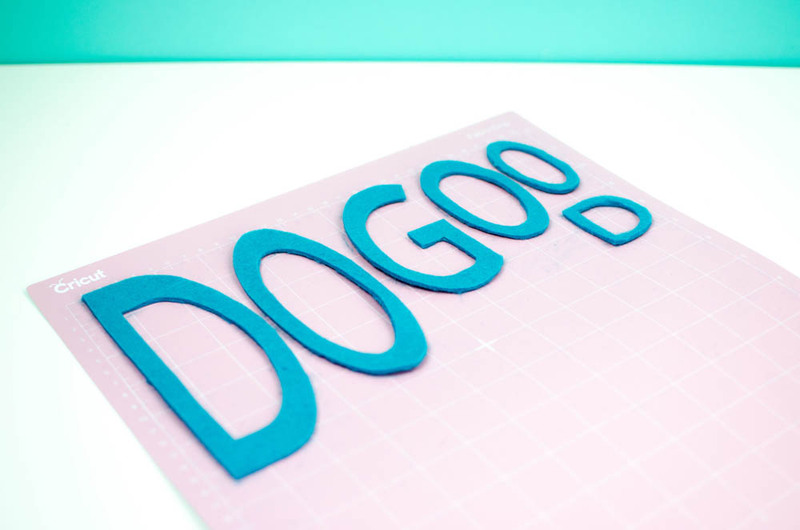 That’s all it takes is the Maker, felt, and hot glue for this genius teen craft idea. 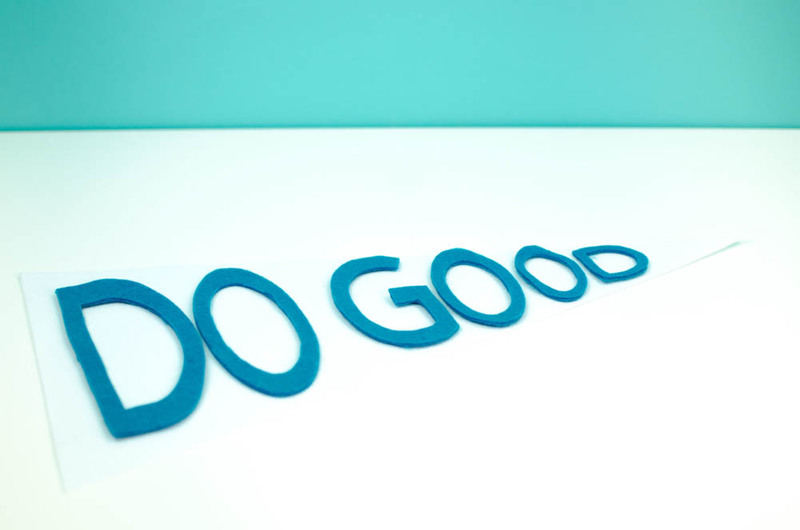 Kids of all ages will love to help with this project. I hope you enjoyed this tutorial and that you have a blast making your own.